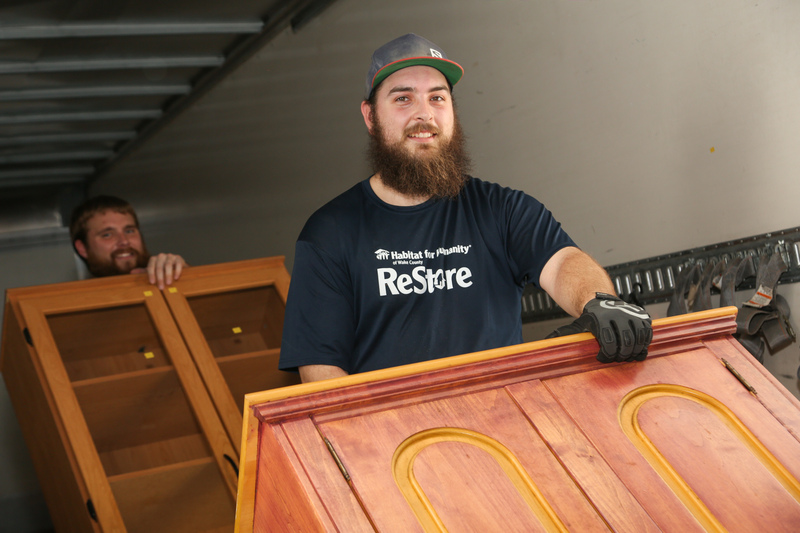 Donate your new and gently used furniture, appliances, building materials, cabinets, and more to the Habitat for Humanity ReStores! We sell these items to the public at discounted prices. When you donate to the ReStores, you're helping fund Habitat’s mission to build safe, affordable homes in the Triangle. All donated goods are tax-deductible and can be dropped off at any one of our seven area locations. You may also schedule a free pick-up for larger items. Please note that our donation docks close 30 minutes prior to closing. *We can only accept drop-off mattresses at the Raleigh and Fuquay-Varina locations. Please note we cannot accept any window treatments that have a cord. Have a vehicle to donate? Read more about our Cars for Homes program. We know there are many places you could choose to donate -- thank you for considering the Habitat Wake ReStores! Habitat for Humanity of Wake County ReStores are a 501(c)(3) nonprofit. EIN 56-1492703.